One of the reasons that many people find yoga so relaxing is that it helps you to consciously slow down your breathing. Each time you move you breathe in or breathe out, noticing how the breath matches the movements. There is a Buddhist belief that there are a predetermined number of breaths one gets in a life and yoga offers a healthier form of exercise, than say, jogging for this reason. I find that the combination of opposing movements and conscious breathing makes me feel deliciously relaxed and the final shavasana (corpse pose) allows me to enjoy that feeling mindfully for several minutes at the end of each practice. It’s surprisingly easy for me to get myself to go out of my way and pay money to take yoga classes and surprisingly difficult to sit quietly on a mat for no cost at all in my living room to meditate. It’s not the same as meditation, but yoga does have some similar effects and I’ll take my peace whenever and however I can get it. I enjoy healthy food like fruits, vegetables and fish. My problem has been finding fruit that is organic and grown within a reasonable distance from where I live in New York City and finding fish that is wild. I often wonder if it is better not to eat these healthy foods if I can not find “clean” versions. Fruits and vegetables are not as much of a problem as fish and if you have to pick and choose which fruits and vegetables to purchase organic, you should be aware of the “dirty dozen”\ that should be your priority for eating organic. Recently, I found a good solution to the fish problem when I discovered Vital Choice. First, let me say that I have no business or financial interest in this company so my recommendation is purely as a happy customer. Vital Choice offers a variety of types of salmon, which is one of my favorite foods, in smoked, fresh, frozen, canned and sausage forms that are wild and certified Kosher. On their website, they also offer organic frozen fruits, nuts and teas as well. 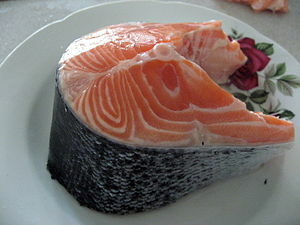 On a recent trip to Portland, I had one salmon feast after another because wild salmon is widely available. Now that I have discovered Vital Choice, I feel I have enough options so I can choose not to eat farmed salmon any more. The Journal, Explore, is a scientific journal with an editorial board comprised of medical doctors and PhDs from distringuished universities including Harvard, Columbia, and The University of Pennsylvania. What’s surprising are the topics that are discussed with studies that provide evidence for non-traditional healing methods, premonitions and remote viewing. Other topics that the journal presents include integrative medicine including shamanic and mystical traditions as well as more traditional healing methods such as nutrition and stress relief for improving immune function. Explore is understandable to a lay person and provides a fascinating look at the esoteric forms of healing from a scientific perspective. Sometimes you just need to get away to recharge, relax and get inspired. Here are 3 wonderful places to go that are a few hour drive from the New York, Boston and Philadelphia areas. Note that Omega is not open in the winter. Located in upstate New York, this beautiful, camp-like setting offers a wide range of workshops for spiritual and personal growth and self improvement. Well-known names in Buddhism, intuition, meditation, yoga and other topics teach workshops lasting from a few days to a week. There are a variety of accommodations from tents to private rooms. During the winter, they move to Costa Rica and occasionally offer New York City events. Kripalu is located in the Bershire Mountains within hundreds of acres of beautiful land. The main residential building was previously a monestary and has a sparse and institutional look. A new building with many private rooms was designed as an example of sustainable architecture, but also has an institutional feel. There is a wealth of courses for spiritual, personal and physical growth. Kripalu has a strong offering in physical activities like kayaking, yoga, biking, and hiking in addition to it’s wide variety of other other courses. It also has a strong program in nutritional counseling. Although the educational programs are not nearly as well developed as those as Omega or Kripalu, New Age is a different type of retreat. With a number of classes scheduled throughout the day from meditation to yoga to Nia dance, you can take in as little or as much activity as you like. The setting in the Catskills feels small, although it is surrounded by woods and opportunities for hiking. An exquisite building with a cathedral roof and giant windows where yoga and meditation are offered looks out on fields with deer and it is attached to a building with an indoor pool and hot tub with a large picture window and beautiful view. This is truly more of a retreat than a learning center. The word “spa” can be misleading as this is not a luxurious place but a simple spot with open or active time where a guest makes of it what she wants. The internet has afforded us the ability of more control over what we consume and what we produce. Want to become a writer, musician, movie maker? You don’t have to wait for a publisher or producer to dub you one. You can create your own content on a blog, Twitter, Facebook, Scribd, YouTube, or a thousand other spots on the web. If you want to consume specific news and information you don’t have to wait for the New York Times to report on this subject. You can find it by searching those terms on search engines and in social media and then ask that the subjects of interest to you be delivered through Google alerts or RSS feeds. So now that you get that the gatekeepers are gone, you can take control of your own health by studying the news and information available on the internet, by joining communities and by searching for a type of complementary medicine that might just be the solution to help you deal with a chronic health problem. Here are a few websites that can help you take control of your health. This site helps you connect with other people who have health conditions to learn what works for them. Another site where people connect over discussions of diseases and options for healing. Focusing on pregnancy, sexual health, college health, and health news, as well as individual illnesses, this relatively new site is a resource for health information. Winner of a PC magazine award as one of the top sites of 2008, this site describes itself as a personalized guided search tool for health topics. Is your doctor the gatekeeper? Use this site to contact doctors over the web for healp with medical questions or problems. Reiki is a spiritual healing practice. It is performed on a fully clothed person and has no harmful effects. Thanks to Mehmet Oz, the cardiologist made famous by Oprah, Reiki is about to be introduced to a mainstream audience. Oz, whose wife is a Reiki practitioner, will be interviewing Pamela Miles in his show in January 2010. Miles is an author and has been a Reiki practitioner since 1986. 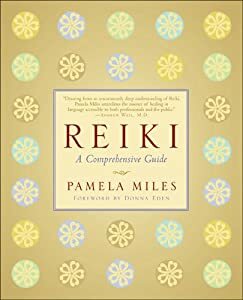 Pamela Miles describes Reiki as “applied mediation.” She has worked on patients during heart surgery and has helped patients suffering from HIV. Mindfulness meditation is a simple practice, easy to learn but not so easy to maintain. The instructions can be written in a couple of sentences. So why is it so difficult to do? The mind isn’t wired to be still so you need to train it. Without consistent practice, the effect of meditating will be diminished or lost. It’s no different from any exercise. You wouldn’t expect to go to the gym every day for a year for half an hour, then stop for a month and feel the same way you did when you exercised daily. Your body doesn’t automatically generate the positive physical effects unless you are keeping it up. I find it easier to go to the gym and do the physical work than to stop everything I’m doing, sit down and attend to my thoughts. Unless I realize that those days and periods of time when I have the discipline to do it are the ones where I’m most centered, most calm, most intuitive and most creative. That’s what motivates me to sit. And yes, it is ironic to say that sitting quietly, doing nothing is productive, but there are few things I would rather produce than a connected, more alive state of being.